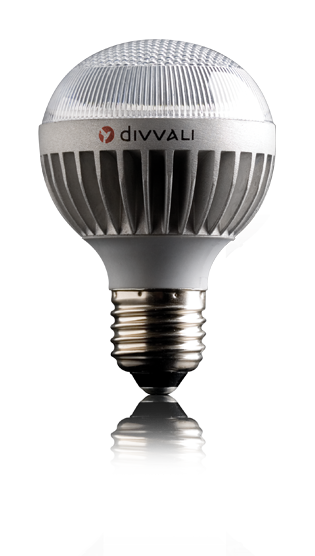 Divvali LED bulbs set the benchmark. Over the lifespan of a single Divvali LED – about 50,000 hours – you would burn through 5 compact fluorescent bulbs, 17 halogens, or 34 incandescents. Energy costs are calculated at a conservative North American average of $0.10/kwh. Return on LED Investment is based on 24 hours of use per day. Contact us for ROI estimates based on your lighting needs. Maintenance cost is calculated at $3.00/bulb for a typical commercial setting. Divvali LED products retain 70% of their original brightness after 50,000 hours. Traditional lightbulbs drop to the same 70% early in their lifespan.